I've been in a great discussion about "negative" feelings - most resulting from traumatization by the destruction of the BP (Big Profits) oil rig explosion and subsequent outpouring of hundreds of millions of toxic crude oil barrels into the Gulf of Mexico, killing innocent, vulnerable wildlife in its path and 11 humans from an initial explosion. 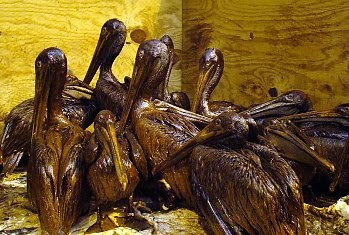 Worse, BP spokespeople then lied about every aspect of the leak: It would be a relatively minor problem (lie); Damage would be minimal (lie); They were doing everything possible as quickly as possible to clean up the polluting crude (lie), There is no plume - underwater oil mass - damage (lie - there are 3); and the list goes on. They refused to give hired beach clean up workers (now unemployed fishers) hazmat protective attire because the photos would make BP look bad. Now the vulnerable workers are sick. You don't have to walk or swim in it to be stricken - inhaling does just as well. Animals are poisoned as soon as they try to clean their coats or preen their feathers because they ingest the poisonous, toxic oil (remember the poisonous chemicals used to try cleaning up the oil) - now the question is whether to kill these oil-saturated creatures outright and spare them the agony of a painful, horrifying death or try to clean them up, knowing that many will die anyway because they have ingested the lethal crude. Mind you, BP originally told the US ("Drill, baby drill!") Congress that they have the means and tools with which to repair and clean up any oil spill from any deep sea oil drilling rig they commanded (Transocean actually owns the rigs - rig workers report that a Transocean and a BP rep had a loud argument aboard the rig that exploded just before it blew. The Transocian rep wanted to repair a leaking valve, the BP guy wanted to save money and simply seal it off. Ka-boom. 11 workers were killed.). Does this mean BP committed perjury testifying before Congress? That can put those folks in jail - though they'll testify they really didn't know BP hadn't a clue about cleaning up their messes, and they have expensive lawyers who will fight tooth and nail to keep these criminals out of jail. I'm sure many in BP feel that "accidents happen," just as Libertarian/GOP candidate Rand Paul does, and that everything will blow over once the hole is plugged and everything goes back to "normal." The question is whether "normal" will ever be experienced as "normal" again. They expect their stock values to rise again and to continue making money hand over fist. Staying "positive." "Moving forward," rather than learning from their past errors, fixing them, holding people accountable and *then* moving forward. There have been several ghastly oil spills that killed massive wildlife, livelihoods, and precious ecosystems in the past 30 years. Each time, governments and the oil businesses swore to make it all better. They did not. What they did was limit the liability of oil companies. What they did was settle for "fixes" that failed 20 years ago and continue to fail. Oil company development money is spent on new drilling techniques, not on how to deal with disasters, spills or leaks. Back to the subject at hand: "Negative" feelings. There is no such thing as a negative feeling. Feelings are feelings and we were given feelings for a reason. To protect us, encourage us to learn and allow us to enjoy life. It does no good to try to cover feelings up - they are organic and full of energy. Like trying to seal off that leaking oil rig valve or forcing a lid on a pot of boiling water to prevent steam from escaping. Boom. Explosions occur. Or addictions that serve only to cover feelings needed to be dealt with until, again, self destruction becomes a path of denial. The first thing recovering addicts do is begin to recognize they can deal with feelings they have been trying to drown, suffocate or bury. Trying not to recognize what is true only makes what is really true grow whichever way it can, mutating and becoming destructive. Like gay fundamentalist Christians who try to deny who they are, causing that organic energy to explode in self-destruction instead of recognizing and loving themselves for who they truly are and dealing with it in whatever healthy way they can. I guess for me the first thing I need to do is recognize I have a feeling I'd rather not have. Like being so incredibly furious with BP and governmental agencies that haven't a clue what to do to stop the madness! It's like witnessing the bungling of the US government dealing with hurricane Katrina all over again, only the vast majority of bodies floating by this time are those of animals, not people. Because BP said they'd handle the leak and clean-up, President Obama believed them and watched with the rest of us as all BP did was desperately try to PR spin the horror we could see unfolding with our own eyes - telling us we weren't seeing what we were actually seeing. And observers wonder why we no longer believe anything the government or big business. Bank meltdowns - built on PR lies and other fabrications with a virtual socialist collusion with government agencies; Enron - built on PR lies and other fabrications with a virtual socialist collusion with government. And there are more of these messes to be uncovered. At least news media are starting to take their jobs seriously again after serving as a lap dog to both parties and big business for so long. So how to deal with these feelings: first recognize what they are and where they come from. What happens to most of us is that our anger, our rage is not just based on current events. This outrageous dishonesty and betrayal by both big business and government can spur emotional memories of every similar event in which we were lied to and betrayed, causing us grievous harm and sadness. Count Katrina in that mix. And Enron. And Exxon Valdez. And Big Bank failures. And.. the list goes on ..
Now express the emotion in a way that can lead to healing. Demand accountability. Vote. Be an informed shopper and investor. Demand that those responsible make the damage they have committed whole again in some way rather than wrangle themselves out of any accountability by legal maneuverings. Do what it takes to stop feeling helpless. Figure out some positive action (!) that will lead you beyond frustration and helpless rage. A list of all you can do, organizations you can assist, government offices you can contact is here. Focus on the fix. If you believe in prayer, focus on the fix. Pray for individuals and groups that can fix this bloody mess. If you don't believe in prayer, focus on helping those who work on these issues - from colleges and universities to individuals like Kevin Costner. Focus on government agencies and timid companies to clear the path for people who can fix this - Costner's 23 million dollar invention has not been used because of red tape. Keep informed on what is and can be done. 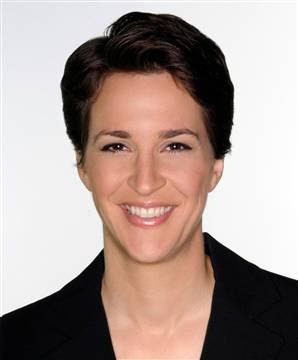 I find the person with her finger on the pulse of this issue scientifically, culturally, humanely and politically is MSNBC's Rachel Maddow. She and her staff have done their homework and have excellent information on stories themselves as well as working on solutions. Welcome whatever feelings you have. Identify them. Then take action to work through them because if we don't, they'll come out sideways and in forms we'd rather not express. Anger and hurt are great motivators. But inspiration comes from within - moving us to take action that can clear the path for positive solutions to a horrific situation. Let's not let all those lives - human, plant and creature - be lost in vain. The Whole Truth is at Cannes!